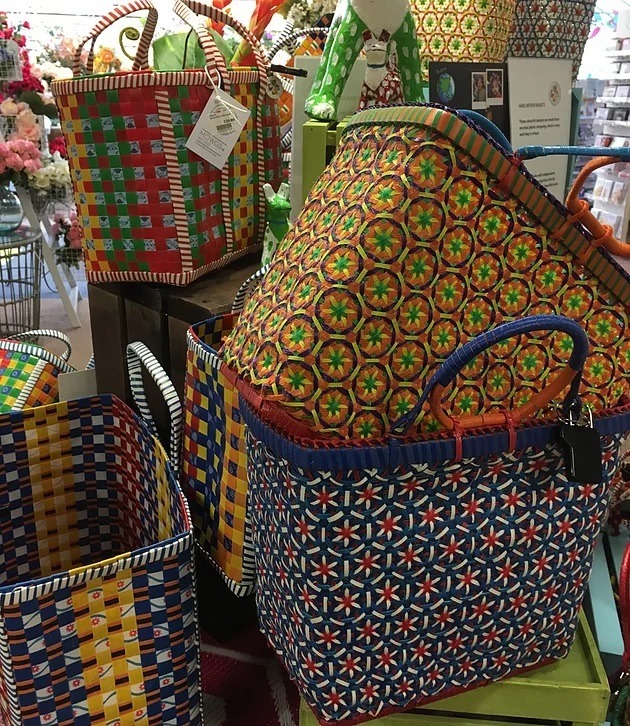 Visit us in the garden centre in our Gift Department to see our colourful selection of MOWGS baskets. Ethically produced in Mayanmar, these eye-catching baskets are handwoven from upcycled plastic strapping making every vibrant, cheery bag completely unique. These sunny baskets are made using traditional weaving skills passed on from one generation to the next. The supplier works with independent, skilled weavers, ensuring they receive a fair price for their beautiful work. These summery baskets are just waiting to be filled with all your essentials. Take to the gym, fill with goodies for a picnic or use to add a splash of colour to your home décor.